Do You Need Help Moving Office? Moving Office? Perfect Time To Review Your System Set-up. Moving Office? Check To See If You Can Move To The Cloud. Moving Office? Perfect Time Review Your Business Mobiles. Moving Office? Check To See What Options Are Available. 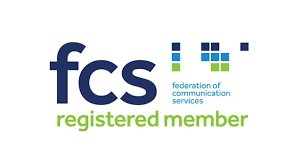 Best 4 Business Communications, can help your business your existing office phone system, we specialise in helping businesses with business broadband, telephone lines. We are an award winning comms provider, operating since 2005, our solutions for business telecoms are recognised by comms business & nationals. ✓ Have a look at what services you are eligible for. ✓ Leave enough time to fit the correct services. ✓ Investigate the copper wires feeding into the new office. ✓ Will you need a static IP address? ✓ Leave enough time for moving all services. We can cater to any business moves and existing change requests. 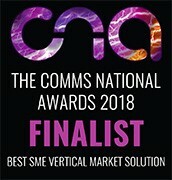 In 2016, 2017 & 2018, we were shortlisted for having the best customer service, best cloud solutions best reseller solutions & best vertical solution. 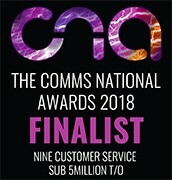 In 2017 & 2018, we were shortlisted for being the best telecoms company. Service matters, & we are a service driven provider. ✓ Dedicated Support – Best 4 Business Communications will assign you a point of contact for all your inquiries. With a direct line, your business is only one phone call away for support and a hassle free move. ✓ Traditional Phone Systems – Best 4 Business Communications works closely as accredited resellers of Panasonic, LG, Yealink & NEC. We can provide you with a number of solutions for your phone systems. ✓ Bespoke Cloud Solutions – Best 4 Business Communications has a number of solutions suitable where cloud telephony is concerned. If your business is looking to move office, do consider all the options. ✓ Best 4 Business Communications is to be your single point of contact for (moves and changes services). We can relocate any telephone system or business handsets to your new location. ✓ Phone Lines – Best 4 Business Communications can help you with transferring and redirecting when moving office phone lines and calls. If you want to look at upgrading, Best 4 Business Communications can also help you will all inquires. ✓ Broadband – Best 4 Business Communications will help you get up and running with business broadband straight away. No business deserves downtime. ✓ Reduce Your Costs – Best 4 Business Communications through a telecommunications review can help your business save capital. We will even create you a detailed moving strategy with our cost effective solutions included. ✓ Whether you are looking to add to your current phone system, or if you are just relocating and need to move some existing handsets. Find out more today, speak to a friendly adviser today in regards to moving your office telecommunications. Do Your New Staff Need Extensions? It might be the case that you need to add additional handsets to an existing telephone system, again we are able to assess the existing infrastructure. Not sure what you need? Get a Free Telecommunications Review today. If you are moving office, it is the perfect time to review your communications, cloud telephony is becoming the go-to solution as the ISDN switch off looms closer. Sometimes a business will move communications to a different location, but neglect to change the programming for ring groups, call plans & extension names. Best 4 Business can access your existing system, accessing the programming to cater for the changes, meaning you can keep your existing equipment in place & still have your current system working. Call 03333 663 333 for more info.